We'll be the first to admit it: 2012 was not the greatest year for Dialogue Incorporated's podcast series. We managed to release a paltry two... and in the process we switched to a new server, lost our page on iTunes, and subsequently lost any subscribers we might have had. Womp. It is what it is. And at least we've already manage to rally in 2013, presenting our first in what we hope are many mixes over the course of the next 12 months as well as renewing our podcast feed in iTunes. That's two big successes for us and very early on this year. Now if we can only keep this streak up right?! Listeners will notice something right off the bat in this Year in Review mix—house beats ruled. From the dub-techno-skank of Rhauder's "Sidechain" to the stepper's disco of "Your Kisses" from Mancunian talent The Dead Rose Music Company to the deep tech-house of Guy Gerber, Âme and Maya Jane Coles. That's not to say 2012's installment is without our indie, bass, and downtempo highlights. Au contraire! But for us, more than any time in the past 120, and the bpms surrounding it, ruled our world. 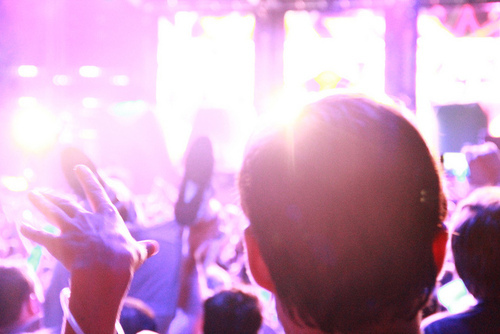 Even with dance music's current popularity, things won't sit still long. While perusing my Facebook newsfeed the other night, I came across a telling quote from a Pitchfork review. Writing about a compilation from prolific U.K. bass label Hemlock, Mike Powell states, “In 2008, the term ‘dubstep’ meant something different than it does now: There was no such thing as Skrillex or Taylor Swift songs with vaguely dubstep-influenced choruses.” Negative connotations of Swift aping bass music for her latest radio hit aside, Powell’s quote speaks volumes about the speed with which electronic music evolves. Futuristic sounds heavily intertwined with the progression of technology: Dance music has always been this way. The only difference now is that, here in the States at least, more people are paying attention than ever before. Producers who once would have thrived in their own way underground are striking viral gold, being touted as creators of some new genre and inspiring legions of imitators. This explains moombahton, which swept the scene in the last 18 months, and the current obsession with trap rave, which has assumed the mantle as the current “it” sound. A natural progression of crunk Southern hip-hop beats and heavy low-end, trap rave is being applied to remixes of everyone from pop tart Ellie Goulding to veteran ravers the Prodigy, and is undeniably infectious on the dance floor. Familiar yet edgy, it has thrust artists like Brooklyn’s Baauer and L.A.’s RL Grime into the spotlight, not to mention rekindled the career of local duo Flosstradamus. But is it built for longevity? Not likely. Trap’s too narrowly defined to have any long-lasting staying power—only the top of the heap will be lucky enough to inspire this same level of enthusiasm by the time 2013 comes to a close. The number of run-of-the-mill producers jumping on the genre bandwagon only serves to quicken that pace of obsolescence. In the world that Powell is writing about, those same producers who made dubstep in ’08 have moved on to a loosely defined gray area generally just being referred to as bass music. While the term is often used as a catchall, for consummate boundary-pushers like Hemlock’s Untold, Hessle Audio’s Ben UFO and Hotflush’s Scuba, bass music is coming to mean specifically speaker-rattling polyrhythmic techno. Listen carefully and you can hear its roots in dubstep, but this is another beast entirely, one that’s guaranteed to bare its fangs well into 2013. In Chicago, the fad-averse are looking backward instead of forward. All-vinyl DJs are returning to the club, and the sound they are championing is a blast from the past—even if the record on the table just came out last week. Artists like Innerspace Halflife, Amir Alexander and Chicago Skyway are all examples of local artists getting international praise for their retro futuristic sound. It is in diametric opposition to the EDM movement that’s dominated 2012, the biggest electronic-music bubble of them all, and one sure to burst. As fast as electronic music moves, it is at its best when this happens naturally. Even with the dollars being sunk into Electric Daisy Carnival and the dizzying array of other rave-centric festivals, the hangover on this supercharged bacchanalia must eventually set in. When it does, the last men and women standing are the ones who are truly in for a treat. This next generation of faithfuls discovering what lies ahead for them beyond the monotonous tempos of 70 and 128 bpm: That could be 2013’s biggest trend of all.